We spent a week this summer invading the offices and going inside the minds of six American menswear heroes. In our final installment, Band of Outsiders founder and designer Scott Sternberg talks French film, adult onesies and how to put on a show. What’s the story behind your fall collection? It took inspiration from a very childlike notion of building a city from scratch. Sort of like if you could start your own urban utopia, like Brasilia—Oscar Niemeyer’s, you know, South American little getaway. What would the roads look like? What would the signs look like? What would the uniforms look like, and what would the mail people drive around? And all that stuff. Uh, so I was very titillated by that. How did the idea of building your utopia come about? What are some ways you brought the city-planning concept back to the clothes? So I started with the maps, and then there were other sort of sartorial references that just took place: imagery of boat workers, and this thing about workwear. Like this [twill jacket] is typical workwear. Cotton workwear material—a work shirt, pretty much. But how do you strip away all the elements and simplify it almost to the point of… not childlike, but just… elementary? And then, give it one sort of key signifier that makes it feel new. Like in our uniforms, the two-tone zipper. Or this reefer coat, which is a very traditional reefer coat that’s, like, very preppy, like “go to work”—but with these super-athletic, sporty cuffs, like from a track jacket or something. Sort of thinking about combining workwear with what you might wear to the office and athletic stuff—in some cases, it’s all in one garment. The fly [embroidered on this shirt] is this idea of insects being, like, the base of the city—underneath it all. Then just sort of getting playful. A lot of what we do is taking things that are really easy to wear, very preppy ways of dressing, but just sort of f—ing around with it a little bit. 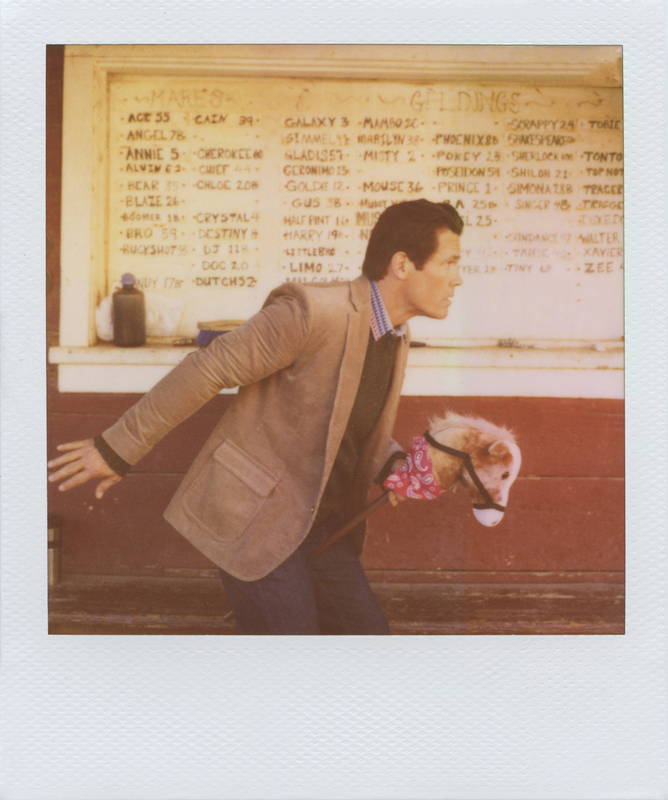 I mean “screwing around with it.” [Laughs]. No worries, we’ll bleep it. What’s the name of your made-up city? We just called it “The City.” But in parentheses, I think. We put a lot of things in parentheses. I hate naming things. Coming up with “Band of Outsiders” was torture. Was it? Do you still like the name “Band of Outsiders” now? The first two years, I was really tortured by it. I thought, “This is really putting it out there.” But no, it’s, uh… it becomes semantics after a while. It just becomes sounds. And they work thematically with what we do. So, I’m into it. It’s the English translation of a Jean-Luc Godard movie called Bande à Part, which is a French new-wave film that my clothes look not very much like. It wasn’t like I was trying to recreate that world—although I’d love to be in that world—but it’s more about the tone of the brand. Band of Outsiders [the Godard film] is like a gangster movie about gangster movies. I mean, it’s completely a work of art and this great film, but it really is making fun of the genre of film. How does the film relate to what you do? We’re not making fun of preppy clothes, and we’re not making fun of fashion. These are great clothes. They’re super well-made. But, there’s always sort of a further investigation… into, like, the slight ridiculousness that is fashion. And with men, the sort of habits and things that pull guys down and prevent them from having fun dressing. Sartorial satire. Is that why this oxford shirt has two pockets, and this polo shirt has a fake pocket? Yes. Trapped. I call it a trapped pocket. I started this line called “This Is Not a Polo Shirt,” but we’re slowly dissolving it just to be Band of Outsiders… just to remove syllables from people’s daily lives. But you know, it was an investigation of the polo shirt—and one thing that I found right away when looking into them was that, okay, nobody uses that pocket. But when you take it away, it sort of feels naked. So it’s this vestigial thing; it’s like your appendix. It’s there for a reason. It keeps the symmetry there somehow. It’s how people understand it. But it’s not actually utilized. So, that was my comment on the chest pocket. This is not a pocket. So, why is that not a polo shirt? It is a polo shirt! That’s the whole thing. But it’s not, because you don’t play polo in it. The concept was really about—we obviously like investigating this tried-and-true part of a man’s wardrobe—but also thinking about how men are obsessed with utility, and how it ties to what they wear. And how that somehow makes it all right. So if it’s a polo shirt or a hunting jacket or you name it—in the lexicon of Ivy League clothes, they’re all attributed to some function that happened at some time, most likely romanticized in the ’50s or ’60s, or even before. 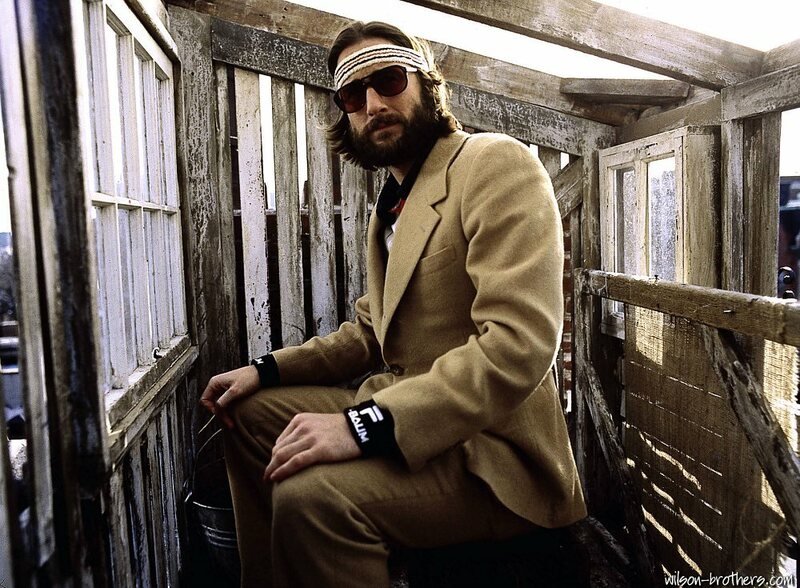 And I think it’s sort of ridiculous and great, because nobody’s hunting, for the most part, in those jackets. Nobody’s playing polo, period. But we still call them that. It still helps us feel okay with wearing them. On the conceptual note: who is René Magritte? Well, he’s a super-smart guy, a surrealist artist and he did a painting called The Treachery of Images. It’s a painting of a pipe [and says in French], “This is not a pipe.” Yes, it’s a pipe, but it’s a painting of a pipe, so it’s not a pipe. It’s all about perception. And you know, guys in the store will definitely [consider that] when buying clothes. [Laughs]. Tapping into all those hot marketing points here at Band of Outsiders! You’re joking, but you must include those references in your work for a reason? We’re building, hopefully, something that’s meaningful—a brand that means something authentic. It’s really an extension of me, and things I love, and the other people who work here and what they bring to the table. I think people ultimately really respond to that well. You didn’t present the Fall ’13 collection via a normal runway presentation. What did you do instead? Oh, God, this is ridiculous. This was the second in a series of non-traditional fashion shows for men that sort of utilized social media as a primary means to get out there and make people aware of the collection. So it was presented as part of a scavenger hunt, which was Matt vs. Miles. We pitted two ridiculously good-looking models against each other, gave them ten clues, ten looks each, and they were running around Manhattan for a day—this urban utopia, back to the inspiration—modeling looks from the collection. So it was a super-rad experiment. A lot of people paid attention, except for fashion people [laughs], who like to watch people walk by them on the runway. We make it a little difficult at times, not purposefully, for people to access what we’re doing. And it’s not for any other reason than to sort of challenge the norm and try out new ideas. …Yeah, uniform. They’re boiler suits. It goes back to the urban utopia thing—the idea about what workers will wear on the street. I love those onesies. They’re great. I wore a black one to a show once, where I was in the show. It was like a men’s tuxedo that looked like a boiler suit. I’d rock that anywhere; I don’t care. They’re super-comfortable. They’re gonna be the staff uniforms for our retail shops. Do they have everyone’s names monogrammed? I thought about it. I like the idea instead of just having a rainbow of them in the back room, and you just sort of grab one when you come in. Why do you collect vintage calculators? Gosh, um, I collect a lot of vintage things. I’m interested in the idea of technology that is so simple that really, in a way, it doesn’t need to go away. Polaroid is such a tragedy, because really, they should still be making film, because we haven’t replicated that technology. A screen with a digital image does not do that. It’s singular. It’s interesting. A calculator… it can be on here [motions at his computer screen], and that’s fine, but—this is a useful tool. This thing, right here, being here outside of this. It’s more productive that way. So, as objects, they’re beautiful. Speaking of vintage, your fall women’s collection contained some archaic video-game references. You know, when you’re sort of mining for inspiration—desperate for inspiration [laughs]. Um, no. I was trying to think of something very graphic and colorful and sort of obtuse. And I’d had Atari, which was a big part of my childhood, floating around as a potential part of a few collections. [That women’s collection] had this sort of ’30s Billie Holiday thing, and it was lacking any edge at all. So, just by process of, you know, force, I took all the Atari stuff—we colored it, sized it and put it into the women’s—and it sort of gave it exactly what it needed, which was something obtuse that wasn’t so vintage and nostalgic, but more strange and surprisingly beautiful or whatever. It makes its way in because it’s part of my childhood—like, a super-personal reference, which I think is so obvious and universal, but then you ask the kids lined up out there [at Band of Outsiders HQ], who are my designers, and they’re like, “What’s Atari?” And they’re Googling it. Oh, my God, I am so old. Band of Outsiders started out as only men’s clothing. How did you get off the ground, back in 2004? I had a really ridiculous notion to start a line of shirts and ties. I was working in the entertainment industry. I was an agent at a talent agency. And I just sort of started it. It was no real thing. I just saved up 30 grand and opened about three credit cards and went [for it]. Why did you start with shirts and ties, in particular? At first, it was just a strange instinct. There was gonna be a sort of a “future prep” thing, right? Like, that was clear. And if you just thought of that uniform, those were the two essential elements of it—minus a blazer. Those elements made a look, you know, shirt and tie together. And a collection of 20 ties and 20 shirts actually made myriad looks, right? Like, where you can really start playing. And I think with neckwear, in particular, there’s sort of not a lot of rules in terms of color, pattern, all of that—because it’s sort of the one place where you can go a little nuts. So that allowed me, just with a few garments, the platform to sort of show my graphic taste and sense of color. And I could just get it done. I found a tie factory, I found vintage silk and I figured out how to make a shirt. You got picked up by a couple key stores in 2004, and your product flew off the shelves. Why do you think Band of Outsiders was so popular right off the bat? Why does your menswear come in sizes 0 through 5? I just like making things difficult for people. [He’s kidding.] You know, it’s actually something we’re reassessing right now. The original reason was that the proportions were non-traditional, so referencing existing sizing, whether that was small, medium, large—or even on the suiting, like 34 or 44 or whatever—didn’t feel like a great idea. I wanted to take people out of that context and just do a size scale relative to ourselves. So that was the original thought. But as we expand, [it might change]. Nordstrom readers, tell me your thoughts! Seriously. How did you start designing women’s clothes as well? It wasn’t like I started men’s so I could eventually do women’s. I’d had what I thought was a joke of a notion, to start a women’s line called “Boy”… it sort of sneaked up and started becoming a thing, just by the market consuming it. So it really forced me to figure out how the hell to make dresses. And you know, be a designer and all that stuff. That was scary. You’re not trained as a designer. So… trial by fire? Nope. Yep. I mean design, most of it—you have to understand how to make things, and you have to understand how to communicate to people. Because ultimately, [you’re not the one] sewing up all those garments that go into the store. [You’re] working with great craftsmen, who are gonna translate [your] vision. So, I’m a pretty good communicator. The second piece is really knowing what you want. It seems obvious, but you [have to be able to] make a stand at a moment in time, in a season, for a particular part of a collection, [and say] “This is what I want.” And really, that’s design. I know what I want, I know how to communicate to the people who can make what I want. There you go. How do you multitask between men’s and women’s? Is it difficult to switch gears and do both? Yes. Yes. It’s really challenging. Men’s is very topical—we’re designing fabrics, we’re working on graphic elements. We’re not changing shapes too much, but we’re changing the smallest of details, to ignite desire with something familiar. With women’s, it’s totally different. Everything’s on the table to some extent. It’s super-challenging, but it’s fun. It’s freeing, you know? It’s sort of like you can just go for it. When you’re doing a show, it’s like, what are you trying to say? And how do you say that 32 different ways, where it’s all the same, but all totally different? It’s a lot… What did I do? [Laughs.] I’m kidding. I love it. 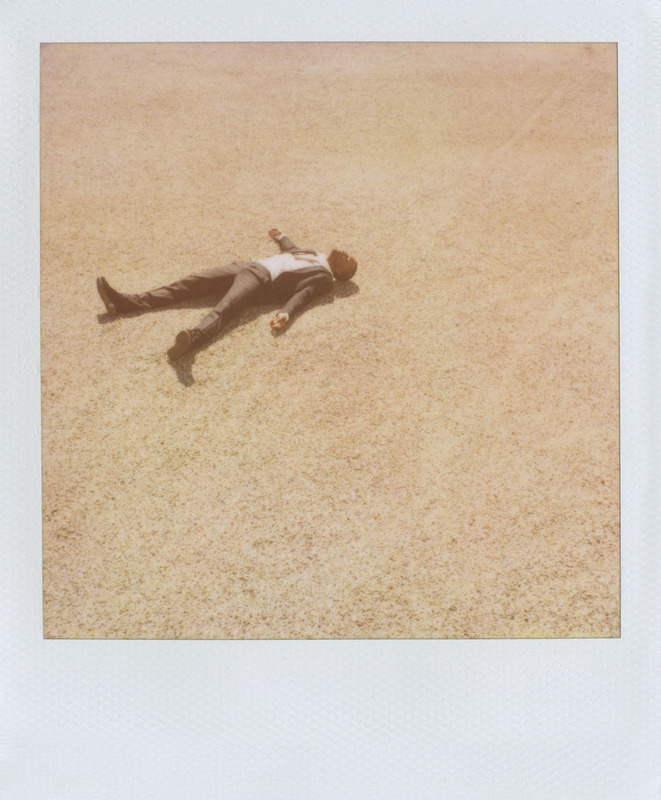 Band of Outsiders has created some great campaign imagery over the years. How did you decide to start shooting actors and musicians instead of models? It wasn’t really a conscious decision, like, “Let’s do this.” I think the first—I met Michelle Williams at a party in New York, and she was really sweet and sheepish about being a fan, which I thought was hilarious. And we talked about it right then, like, “You should be in some of these Polaroids that I shoot.” I hadn’t shot anybody famous [before]. And then it sort of became a thing. 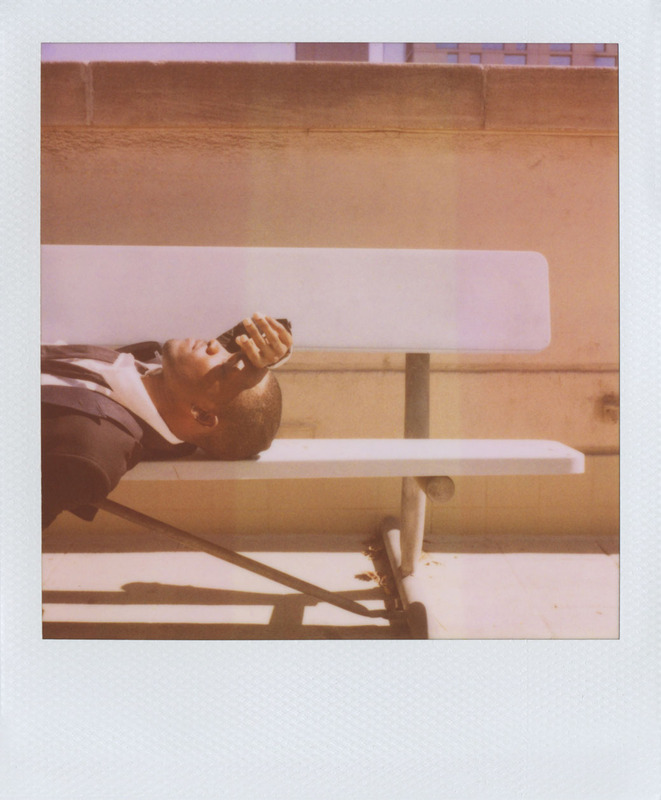 Someone in your office was showing us a book of Polaroids earlier—and they’re real Polaroids. Point and shoot. What made you decide to use that kind of camera? Super-practical. At the time, you could buy the film at Rite-Aid. I first thought I needed to get a fancy photographer to shoot my lookbooks and stuff, but I didn’t have much money when I started. Plus, I wasn’t even finding anybody whose aesthetic I liked. I knew photography [Sternberg majored in economics and photography in college], but I knew I didn’t want to be traveling around with a crew. I wanted to do stuff very simply. So, I ordered a couple old cameras, and it was like a no-brainer. I mean, you don’t have to light anything, and it looks fantastic as long as you know like three tricks. It’s so easy. What do celebrities think about being shot with lo-fi, instant equipment? How do you decide which actors and actresses to work with? It’s super-organic. It’s very much about the feeling of the collection. You know, I shot Amy Adams for a collection that had very much a Southwest sort of feel. I felt like there was no question; it was gonna be Amy Adams. Like, she was just that girl out in the prairie, and that whole vibe. Um, Frank was Frank [see above—those are the originals!]. I mean, come on. I was gonna shoot Frank Ocean, and it didn’t matter where the f— I was gonna shoot him at. He’s somebody that we’d been communicating with for a while. And then sometimes it’s just what’s going on in culture. Greta Gerwig is so awesome, an actress that I just loved forever. And I knew she had a movie coming out, which I had seen a preview of, and it felt like this was Greta’s moment. Like, “I want to shoot her right now.” And that was it. You’ve shot Jason Schwartzman a couple times. Do you think he would be friends with us? Yeah, he’s so nice. But he doesn’t leave his house. He had a baby a couple years ago. He’s so cute and sweet with this baby, and so worried about this baby, that I don’t think that baby will ever leave his sight. He used to come by here every week, to pick up new clothes. He’s such a good one. Good egg. He was sort of plucked out of nowhere for Rushmore. Well, not nowhere, but high school. What about Sarah Silverman? Can we all hang out? She’s really intense. She’s a comedian. It’s a whole world… I think she’d eat you alive. Is that what happened to you when you shot with her? No. She was so sweet. But you have to remember that I have a camera, so there’s this thing that happens. I’m not going into these shoots being like “Be my friend, let’s hang out.” It’s very, like, “I need you to do this for me, and you will go here now, and let’s do this.” And then it’s all very friendly, but it’s all very professional. So, yeah, Sarah Silverman would love you. Did she say anything offensive to you that day, when you were shooting? Oh, my God, no. She was offended, actually. I shot her twice—once for Interview magazine, with Aziz Ansari, and that was just like caging two zoo animals. Uh, seriously, though—when I shot her the first time, we shot at Canter’s Deli, which is a famous old deli here. And we went down to the kitchen, which I would not suggest anybody do, and they had these vats of pickles—like literally vats. Pickles are the free things you get at the table there. And it smelled so bad. She had like, a minor meltdown, but it had nothing to do with me. It was the pickles. [Laughs]. 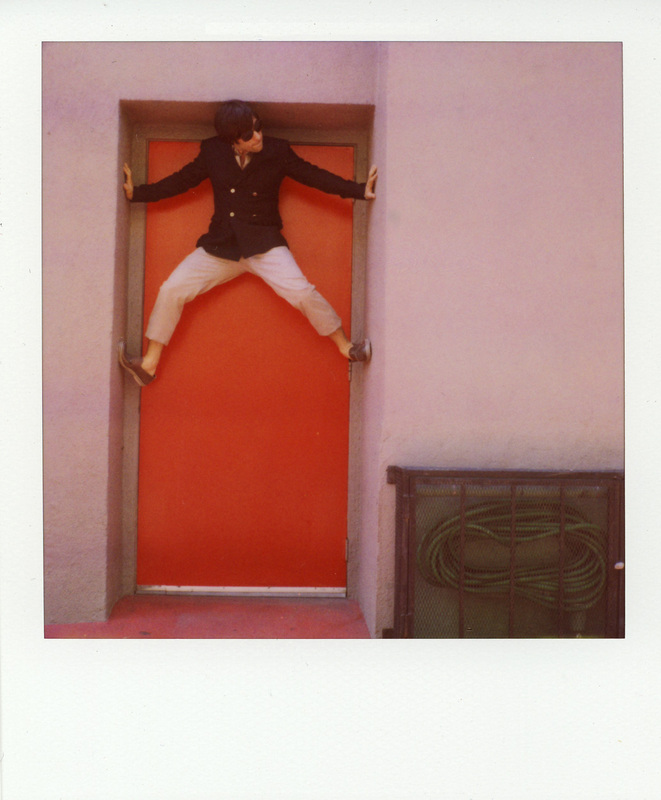 Only on a Band of Outsiders shoot. 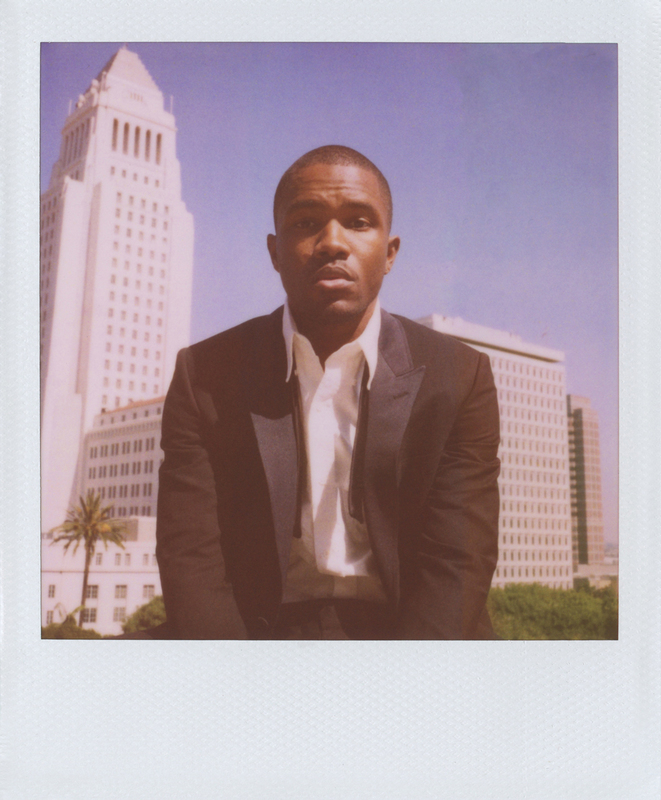 After rocking a rad Band of Outsiders yellow shawl-collar tux at his recent Grammy performance (and channeling Richie Tenenbaum with that headband), Best Urban Contemporary Album winner Frank Ocean is starring in the brand’s spring 2013 ‘Polaroids’ campaign. Shot by designer Scott Sternberg himself, Ocean follows in the footsteps of some of our favorite people ever, like Jason Schwartzman, Sarah Silverman, Josh Brolin and Marisa Tomei—proving once again that Sternberg and co. have great taste, and not just in clothes. releases them this weekend on their Tumblr.